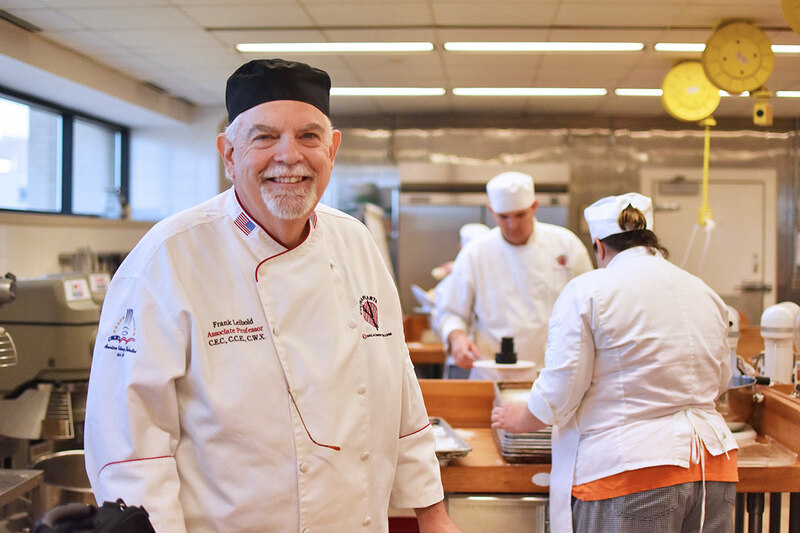 Chef Frank Leibold earned his stripes in the neighborhood bakeries of Dayton and in the highly competitive contact-sport kitchens of New York City in the 1970s, experience that guides his coaching of tomorrow’s generation of culinary experts at Sinclair Community College. The pace is brisk in the commercial kitchen where Leibold, a professor today, runs students through the fine points of making soda bread, pretzels, sweet rolls, coffee cakes and crackers. “We have to keep the pedal to the metal,” Leibold said. “We have so much to teach them. One of the things I try to impress on them is the industry is demanding”. 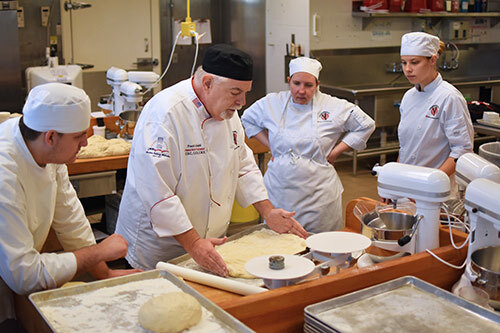 Bakery & Pastry Arts as an associate degree in the Hospitality Management program is only in its second year, but appetite for the discipline has risen quickly. 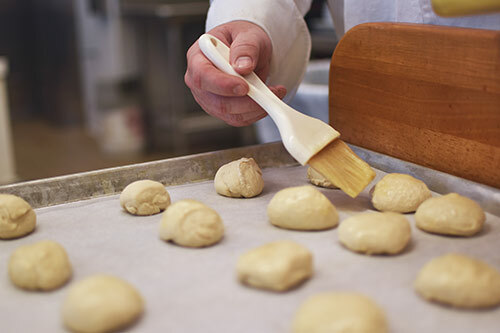 Bakery & Pastry Arts rose from a certificate program with 60 graduates in the 2013-15 timeframe to what is now a two-year degree with around 100 students taking a significant course load in the specialty. Fierce interest in cooking as a professional, ignited in part by popular reality television shows, has been around for years, but rising demand for locally crafted goods is now spurring job opportunities for highly-trained culinary artists, Leibold said. Placement is excellent with a wide range of pay from $30,000 up to $60,000. Leibold said students take jobs at local cake shops, delis and bakeries and in the corporate world, from hotels and hospitals to the food industry. Others start their own shops in cities and towns. In Dayton, there are not enough bakeries to meet demand, Leibold said, with locally baked goods commonly selling out. “Dayton is a ripe place to start that business,” Leibold said. Ashton Riley, 19, of Troy, aspires to fill that gap. The Troy High School graduate began cooking with her grandmother at the age of four. Versatility is prized in the industry, Leibold said, with a premium on students who can do it all – artisan breads, pastries, cakes, the works. “They need to be able to do all these things so they are valuable,” he said. The expertise in pastry can combine with other hospitality offerings to make a do-it-all chef, Leibold said. Ciara Jordan, 26, of Trotwood will be in that category when she completes her course work in May. She’d like to start a catering company.